STATEMENT ISSUED FROM BANGKOK INTERNATIONAL AIRPORT. British migrant workers activist Andy Hall tonight issued a statement saying he was leaving Thailand with no planned return date. In a statement issued from Suvarnabhumi International airport, Hall, who was the subject of several libel cases due to his exposure of alleged breaches of rights of Burmese workers in Thailand, cited the deterioration in conditions for human rights workers in the country. He joins many foreign journalists and Thai democracy supporters who have already left. Here follows his statement in which he scarcely disguises he feelings in a judgment made against him. “It was indeed a welcome development that the Supreme Court of Thailand issued its judgment on 3rd November 2016 at Prakanong Court dismissing, after almost 4 years at a final stage of appeal, a criminal defamation case against me. In this case I was prosecuted as a researcher and migrant activist for criminal defamation by Thailand’s Attorney General and Public Prosecutor, as joint plaintiffs with Natural Fruit Company Ltd. This case related to an interview I gave to Aljazeera in Yangon in 2013 in which I explained. 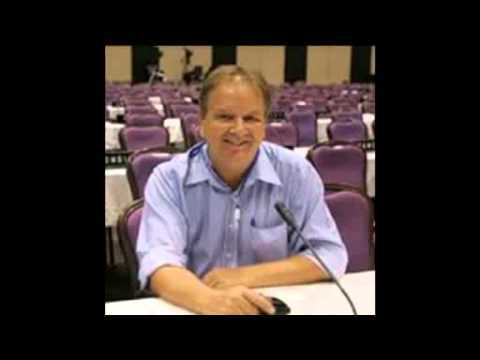 about research I conducted on alleged migrant worker rights abuses in Thailand’s food processing industry and my experience of the response by Natural Fruit Company Ltd. in criminally prosecuting me. As an individual and as an international affairs advisor to the Migrant Worker Rights Network (MWRN) and the State Enterprise Worker Relations Confederation (SERC), I have been dedicated to working as a human rights defender and activist for over 11 years. My goal has always been to improve living and working conditions of millions of exploited migrant workers in Thailand and ensure these workers access fully labour rights and other rights they are entitled under Thai law. However, in the end, the situation has not worked out as I planned or hoped. This work has entailed many personal challenges. I have encountered insurmountable challenges with some companies and establishments. For instance, on 20th September 2016 the Bangkok South Criminal Court issued its judgment convicting me for criminal defamation and computer crimes. This conviction resulted from a case prosecuted against me in relation to the publication of a report by Finnwatch on the situation of migrant worker rights violations in Thailand’s pineapple industry. I was a researcher providing raw data for this report and I did not analyse this data, write the report or publish it. However, I was sentenced as defendant in this case to 4 years’ imprisonment and a 200, 000 baht fine. 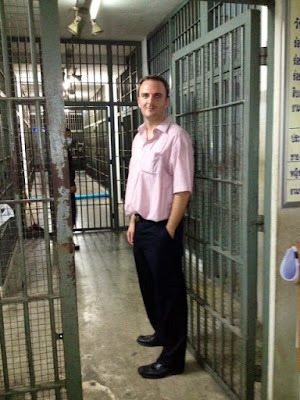 As I was seen to have given beneficial evidence at my trial in a case which also lasted for almost 4 years, I was given a 25% reduction in sentence to 3 years’ imprisonment and a 150, 000 baht fine. The court suspended my imprisonment sentence for 2 years on the basis that I was an activist working for public benefit. I shall appeal against this conviction once my lawyers receive the judgment. In addition to these personal cases, recently it has been necessary for me to work with MWRN to support a case where migrant workers by necessity had to prosecute a chicken farm owner in Lopburi Province providing poultry to Betagro for export overseas. This case is now resulting in additional criminal prosecutions and threats of even more extensive litigation in Thailand’s Courts of Justice. When taken together, this ongoing, costly and extensive litigation on migrant labour issues creates challenges that critically prevent in many ways enhancement of migrant worker rights in Thailand. Of course, in some situations the Thai government cooperates and assists to promote enhancement of migrant worker rights. I accept that in some circumstances and in certain issues or cases, the situation of migrant workers in Thailand has significantly improved. Credit should be given for this visible improvement. This genuine improvement has only occurred however when civil society and the Thai trade union movement has worked together in collaboration and harmony with more progressive employers, industries and establishments as well as with the Thai Government and overseas buyers. Importantly on a personal level however, currently the situation in defending migrant worker rights for me and others who act as human rights defenders in similar situations has rapidly deteriorated in Thailand with significantly increased risks and aggressiveness evident. As a result, I want to ensure time for existing tense situations of conflict to reduce as well as provide time and space for the many parties to these existing disputes to fully understand the importance of migrant worker rights and the necessity for human rights defenders like myself. to have their work increasingly promoted and protected. Only if such a positive situation is developed can people like myself work genuinely and most productively, free from threats and intimidation and without endless prosecutions that prevent our work from proceeding effectively. I have discussed carefully and over a period of time with my colleagues and my legal team a plan to leave Thailand without specifying a return date given the increasingly negative developments highlighted above. I have now finally decided to leave Thailand today as planned, and with confidence that for now, this is the right decision for me and for MWRN. Bon voyage, Andy, and thank you for your tenacity. Every time the authorities, and by that I mean the authorities, not just the Thai manufacturers abusing migrant labour, took you to court, it raised the profile, of human rights abuses in the country, worldwide. Of course promises will be made, but never kept while those in power profit. I guess you realised that.